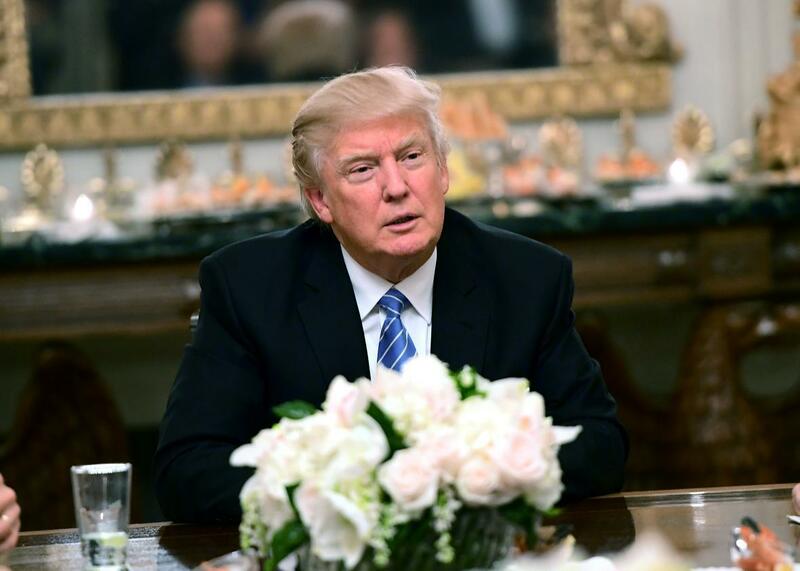 Trump won’t try to renegotiate prescription drug prices. Remember all the times Donald Trump flouted conservative orthodoxy by saying he wanted to save money by letting Medicare negotiate down the price of prescription drugs? This wasn’t one of the man’s tossed-off comments. He talked about it constantly during the campaign. He even said it could save the government $300 billion. That was bunk, of course, but what shows Trump’s dedication to an idea better than his frequent use of an obviously incorrect stat? Even just this month Trump was still into the idea. At his Jan. 10 news conference, he declared that pharmaceutical companies were “getting away with murder” because they had “a lot of lobbyists and a lot of power. “We’re the largest buyer of drugs in the world, and yet we don’t bid properly,” Trump said. And the markets took him seriously. Pharma stocks plummeted. I’ll oppose anything that makes it harder for smaller, younger companies to take the risk of bringing their product to a vibrantly competitive market. That includes price-fixing by the biggest dog in the market, Medicare, which is what’s happening. But we can increase competition and bidding wars, big time. So what I want, we have to get lower prices, we have to get even better innovation and I want you to move your companies back into the United States. And I want you to manufacture in the United States. We’re going to be lowering taxes, we’re going to be getting rid of regulations that are unnecessary. So let’s see: Trump has gone from arguing that Medicare should be able to use its market power in order to negotiate down prices—it’s currently banned from doing so by law—to suggesting that it has already engaged in price-fixing. It sounds like Trump wants to give Medicare an even weaker hand at the table, somehow. Meanwhile, he’s promising to deregulate and cut taxes on the industry, which will somehow lead to lower prices for consumers rather than higher profits for producers. Insofar as this is surprising, it’s because Medicare’s inability to negotiate prices seemed to clash with Trump’s whole persona. As a matter of optics, how could the nominal author of The Art of the Deal stand by as our government got ripped off? But in the end he’s an easily impressionable man with little policy knowledge and few core principles, and his administration consists mainly of proud plutocrats, white populists, and some Tea Partiers. Of course he was going to walk out of that meeting with plans favorable to the pharmaceutical industry, his supporters’ medical costs be damned. Maybe Trump will change his mind on this again. But given the team guiding this administration’s decision-making, it seems unlikely he’s really going to let Medicare crimp pharma’s bottom line. There will be no silver linings in this administration.